KF Aerospace, for the second time in three months, has begun construction on a hangar expansion to increase its maintenance, repair and overhaul (MRO) capabilities. 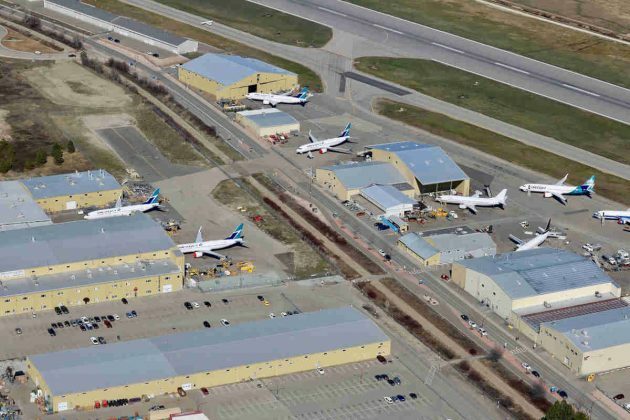 After breaking ground on a $30-million expansion of its MRO facility at Hamilton International Airport (YHM) back in mid-February 2019, the company today announced it is adding 21,000 square feet to its Hangar 1 (South) facility at YLW Kelowna in British Columbia. This new capital investment focuses on one of five customer-dedicated hangars at the Kelowna base. 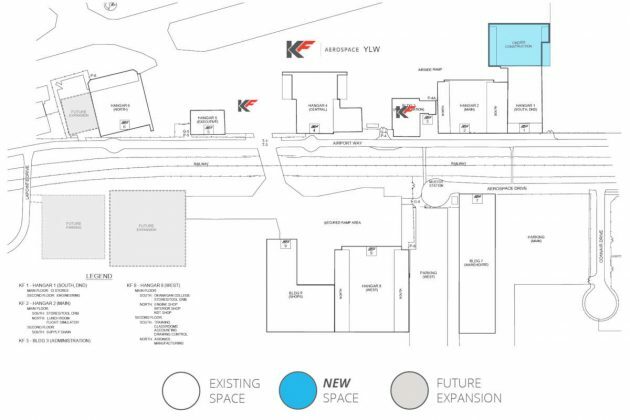 It will bring KF’s capacity in Kelowna to a total of 13 concurrent lines of narrow-body and regional-aircraft maintenance, grow its staffing from 725 to 800 in 2020, and expand the YLW base to a total 370,000 square feet. Construction is expected to complete by mid-July. The expansion at Hamilton International Airport in Ontario will add 150,000 square feet and more than 275 new jobs. 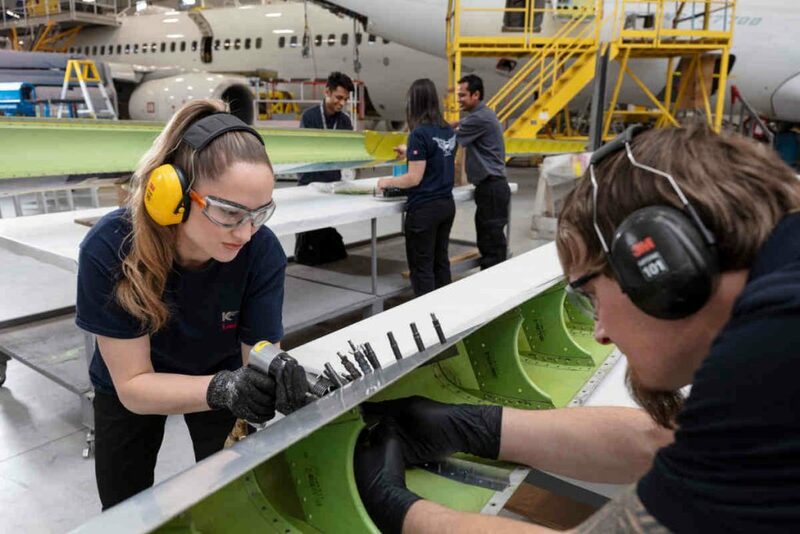 “In tandem with the major expansion of our Hamilton base, we are excited to be making additional investments in Kelowna that will help us support our airline partners with world-class maintenance services,” said Tracy Medve, president, KF Aerospace. KF Aerospace states it is the largest private sector employer in Kelowna and Canada’s largest commercial MRO operation with more than 1,000 employees at facilities across Canada. The expansions together will create approximately 350 more jobs. In addition to providing MRO aircraft services for corporate, commercial and military customers worldwide, KF Aerospace works with some of Canada’s leading airline brands like WestJet, Encore, Swoop and Air Canada. Kelowna-based Norsteel is leading the construction of the Hangar 1 expansion and Manitoba-based Behlen Steel Buildings is supplying the pre-fabricated hangar. The wide-body hangar for its Hamilton expansion is also being pre-fabricated in Manitoba, with construction on that project expected to be complete by October 2019.